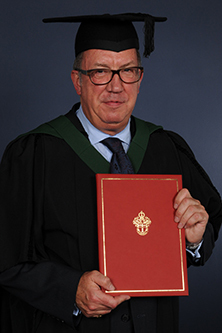 Frank McLoughlin, CBE, is a model educator who has established a reputation for being one of the foremost leaders in the UK Further Education sector. Through his role as Principal of City and Islington College, Mr McLoughlin has been instrumental in changing the fortunes of thousands of young people and adults - many from economically disadvantaged backgrounds. The transformation of City and Islington College into an award-winning and academically outstanding seat of learning is a testament to Frank's visionary and inspired stewardship. Frank, who left school at 15, was introduced to the transformative power of Further Education when he took 'A' levels at an evening class. He subsequently graduated from the University of Leeds with a degree in Politics and was determined to teach in Further Education. 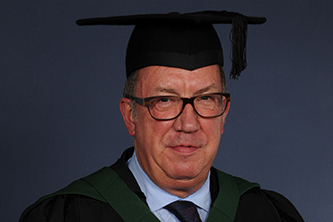 Following a long career in London colleges, Frank was appointed Principal of City and Islington College in 2002. Mr McLoughlin is a founding member and ex-chair of the influential 157 Group - a membership organisation of Further Education Colleges in England and a member of both the London Councils Young People's Education and Skills Board and the London First Employment and Skills Steering Group. He is a board member of Action Aid UK, a member of the All Souls Group and a Fellow of the Royal Society of Arts. He was awarded the CBE in 2009.